We managed to capture the queen bee and removed her wings so to prevent her from flying away. We successfully transferred the colony into a bee hive so the family can continue to harvest honey plus other bee product. This is what you need to know to prevent bees from stinging you: First, you need to calm them down by smoking. If you are going to be transferring the bees into an hive, then you need to capture the queen and remove her wings so she can not fly. If you don’t remove her wings, you can enclose her in a cage with holes where she can be fed but not able to get out immediately (the worker bee will be able to open a passage for her to get out after some days). Then the rest of the bees will just come to protect the queen. Also, when a bee moves on you, just leave it and don’t kill it. If you kill it then other bees will smell a certain scent and they will begin to sting you. Also, you don’t have to run but just walk gently and don’t wear perfume. Always smoke yourself and try to smoke around. Below is a photo slideshow of what happened during a two-weeks period. SUPPORT US TO SEND BEES TO WORK AS WE KEEP LOCAL FARMERS’ CHILDREN IN CLASS THAN MAKING THEM (CHILDREN) WORK AS THEY MISS THEIR CLASSES. If supported, the projects will donate 250 beehives and basic beekeeping materials to 50 selected local farmers with children in Primary schools in and around Kikandwa villages. The hives and materials will help to establish Commercial Micro Beekeeping Enterprises (CMBE) for local farmers in order for them to be able to meet the educational needs of their children as well as training them in practical beekeeping for self sustenance. We always Treasure your Efforts, Contributions and Support to our Organization’s projects. Almost half of Uganda’s population lives below the poverty line. At the same time, nearly 90% of it activates and earns its income from agriculture. Thus it becomes obvious that farming is not profitable in this country, at least not for the moment. Women and children have an especially difficult life, because of the strong social polarization of the society. The overall development level in the region is far below the western standards, and catching up with them would require intense funding. This rule has some exceptions, however, such as beekeeping. Uganda is lucky to have many species of bees: Apis Melifera scutelatta, melifera adansonii, monticola, and also several types of stingless bees. 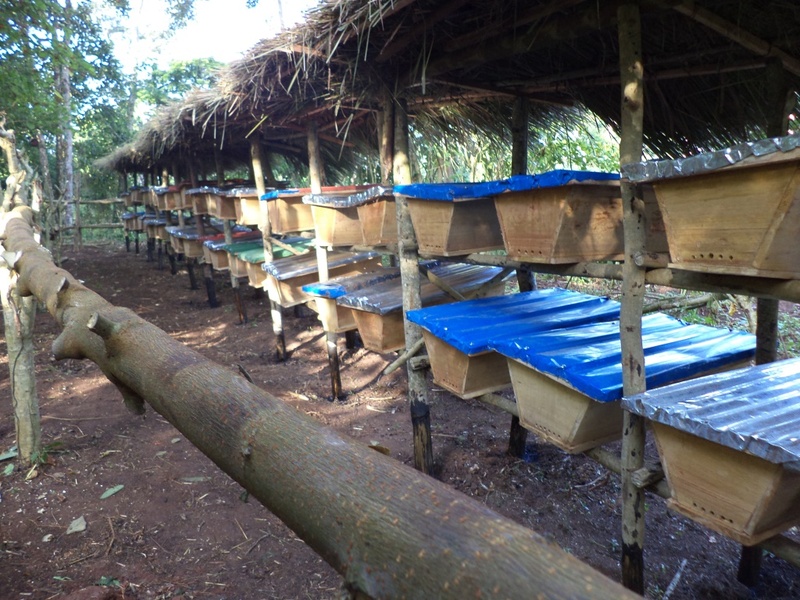 In contrast with other agricultural areas, where Uganda has poor natural conditions for further development, the apiculture can grow fast and steady thanks to the rich availability of resources. Moreover, there are no diseases spread among the bees. Local people have been practicing apiculture for a very long time. They therefore have basic knowledge and understanding of the process and its importance. Instead of teaching this industry from the very beginning, it is only necessary to provide some further training, and implement a professional beekeeping concept which is based on the real standard governing this organic industry. 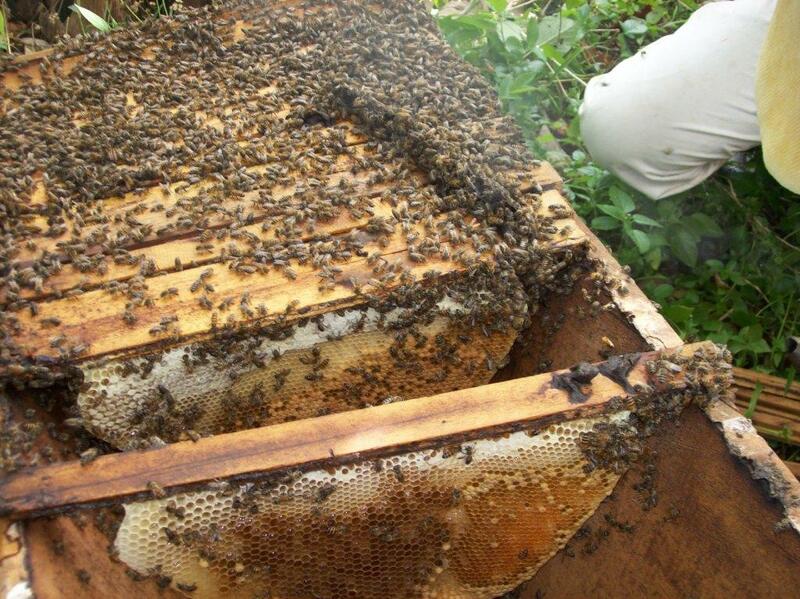 Beekeeping can be implemented without the use of expensive technologies or materials. This provides a great perspective for the poor rural farmer, who cannot afford to invest too much in a business. Simple hives, created from cheap locally abundant materials could be placed close to the farmer’s house, therefore not requiring too much effort or budgeting. Special training could teach the farmers how to improve the quality of bee products without using expensive tools. This would obviously allow a significant increase of the locals’ income. Since young farmers do not typically own land, one of their main problems is the increased costs of agricultural activities due to the land rent. Beekeeping in contrast, does not require this. It can be arranged either close to the house, or even in forests. In other words, this type of activity is much more accessible for young poor farmers than other areas of agriculture. 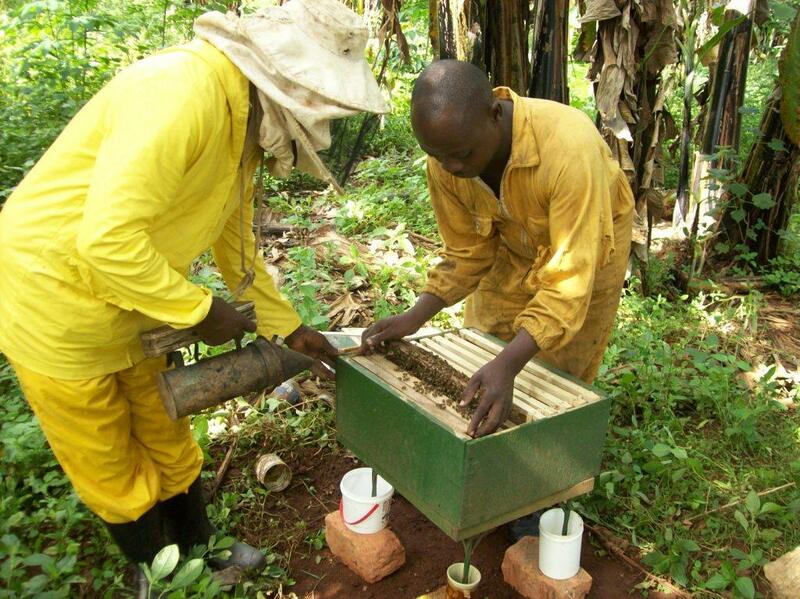 Of course, there are also many limitations and barriers for the development of apiculture in Uganda. As long as we keep in mind the benefits, however, it is possible to develop a flourishing industry out of this and let young farmers develop themselves and overcome the severe poverty. All they need is a bit of support in the form of extended training, as well as access to information and initial financial support.